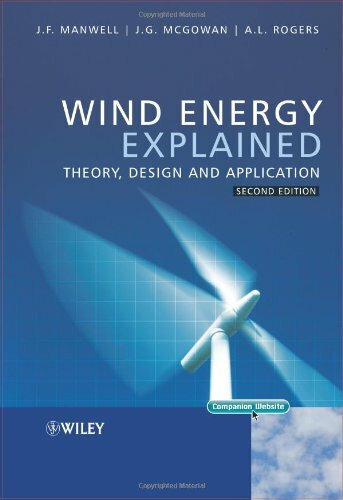 Wind energy’s bestselling textbook- fully revised. special purpose applications, such as energy storage and fuel production. Fifty additional homework problems and a new appendix on data processing make this comprehensive edition perfect for engineering students. This book offers a complete examination of one of the most promising sources of renewable energy and is a great introduction to this cross-disciplinary field for practising engineers. This book has no practical examples. This book is really boring. It only talks about theories but there aren't any examples or application. If you're a professor, DO NOT USE THIS BOOK. Use something else. Simply the best-written text on wind enegy! This book is absolutely the best book I have owned on the subject. I love the simplicity of the text, clarity of the illustrations, and above all the fact that it covered all the necessary areas on the subject. I strongly recommend it to anyone interested in expanding their knowledge on wind energy. The second updated edition of WIND ENERGY EXPLAINED: THEORY, DESIGN AND APPLICATION includes the latest data, illustrations and all new material on wind turbines, offshore wind energy, and more. Fifty new homework problems and a new appendix on data processing are just a few of the updates and expansions for this fine edition, recommended for any college-level science and natural resources collection. 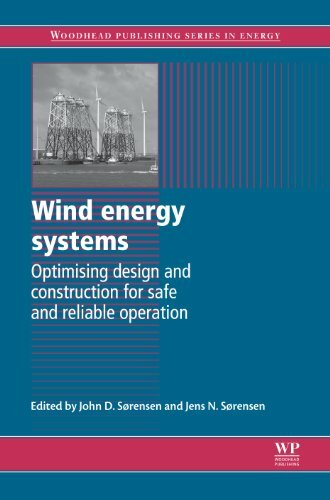 Great Wind Energy Engineering book! This is a great book.So far, the theoretical teachings in this book have been excellent for my ME 430 class. The availability of clean, renewable power is without question going to be the defining challenge and goal of the 21st century, and wind will lead the way. Internationally acclaimed wind energy expert Paul Gipe is as soberly critical of past energy mistakes as he is convincingly optimistic about the future. The overwhelming challenge of transforming our world from one of fossil carbon to one of clean power seems daunting at best—and paralyzingly impractical at worst. Wind Energy Basics offers a solution. Wind power can realistically not only replace the lion’s share of oil-, coal-, and naturalgas– fired electrical plants in the U.S., but also can add enough extra power capacity to allow for most of the cars in the nation to run on electricity. Gipe explains why such a startlingly straightforward solution is eminently doable and can be accomplished much sooner than previously thought—and will have the capacity to resuscitate small and regional economies. Wind Energy Basics offers a how-to for home-based wind applications, with advice on which wind turbines to choose and which to avoid. He guides wind-energy installers through considerations such as renewable investment strategies and gives cautionary tales of wind applications gone wrong. And for the activist, he suggests methods of prodding federal, state, and provincial governments to promote energy independence. Windpower is freedom from fossil fuels ! Fantastic and easy-to-read explanation of what can be done NOW to make our cities and countries free from fossil fuels. As the title reveals, this is a Basic introduction without too many technical details of how a homeowner or small business / estate can go about 'getting off the grid', with many examples of who has done it, how they do it, and how they profit from it. Knowledge is power, so empower yourself by reading this and spreading the power of wind ! Paul has well captured the basics of wind power in an easy and understandable way.The book is a delight to read.What I didn't expect and have not read before is Paul's excellent commentary on wind power public policy.Europeans tend to build community based wind whereas Americans build corporate based wind.This means that in Europe, individuals tend to benefit financially from wind whereas as in the America, corporations tend to benefit. Very interesting stuff here.Also, public policy is very different as well, with feed-in tariffs being popular in Europe and the USA tending to supply money up front to build projects (a big mistake).Additionally, anyone considering vertical axis wind mills or ducted fan based windmills might want to read what Paul has to say first. An interesting book, just not what I expected.Thought it would give me information about how to select a wind turbine and it is all about telling you to invest in a commercial size unit rather than a household size unit.Not much information about starting an LLC or raising millions either. Paul Gipe is not only a leading authority on wind energy but he is an exceptional teacher. This second edition of Wind Energy Basics covers most of the current models of wind turbines on the consumer and commercial market as of 2009. The book is an excellent introduction to wind energy that will serve both potential wind turbine buyers and those interested in wind energy well. There is some math involved but nothing over basic high school algebra and it is kept to a minimum. This is a great, inexpensive way to learn about wind turbines. If you are more interested in design and want more in depth analysis, Paul's other book, "Wind Energy", is an excellent choice. As environmental concerns have focused attention on the generation of electricity from clean and renewable sources wind energy has become the world's fastest growing energy source. The Wind Energy Handbook draws on the authors' collective industrial and academic experience to highlight the interdisciplinary nature of wind energy research and provide a comprehensive treatment of wind energy for electricity generation. Trustworthy, good condition and the book came early. The book is a birthday present for a friend. According to my friend, the information is very useful to get an idea of wind turbine design. A deep look into the wind energy and wind conversion. Very extensive and deep into details considering the wind power technical aspects. I strongly advise for those in the technical wind energy area dealing with it. I have read many similar books, I have also read much of the latest literature on wind turbine aerodynamics. Thus, I can say that of all the books written on wind turbines this book is written at the highest level. Much of the content within this book reflects what is best theory for practicle wind turbine engineering. Very indepth analysis of the aerodynamics and explains a lot of the concepts in great detail, where other books will gloss over. 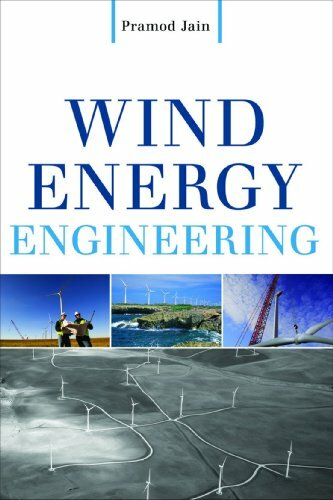 There are some things that readers should be aware of, first this book is only for people serious about wind turbine engineering. It is written at a level where some engineering knowledge is needed. I would recomend it for graduate students and proffesionals, but not for part time enthusiasts and hobyists. This book was written by people who spent their lives for something they loved. Their passion is evident from the in depth analysis and their personal contribution to many aspects of the presented theory. This book is highly recommended to engineers and students, however it might not be very useful to people with limited engineering knowledge. The Homeowner’s Guide to Renewable Energy gives readers sufficient knowledge to hire and communicate effectively with contractors and, for those wanting do installations themselves, it recommends more detailed manuals. With a complete resource listing, this well-illustrated and accessible guide is a perfect companion for illuminating the coming dark age. Dan Chiras has studied renewable energy and energy efficiency for three decades and has installed several renewable energy systems. He lives in a self-designed passive solar/solar electric home. An award-winning author of over 20 books, he is a sustainability design consultant who teaches courses on renewable energy, green building, and sustainability at Colorado College. Great intel but the cost of the ideas in here are way to high for the gains. This is a must have book for anyone wanting to read up on how to improve your environmental footprint. Good Source of information for both renewable energy and energy efficiency. The book is a easy read and I highly recommend this book as well as others that Dan Chiras has written.I love this author, he really knows what he is talking about.Not only does he talk about it, he also practices what he preaches. This is very good review of renewable options.You don't have to be an engineer yet it is more than you've read in the newspapers and such.I saw some things I hadn't heard of.It is realistic, not everything works everywhere.It takes into account cost and return.It is not a tech manual, you won't know how to install the whole system (whichever it would be) but you'll likely know which way to go if need more.If I have a beef it is that the photos could be more and better. More DIY info would be better. The bible ofrenewable energy for the home. 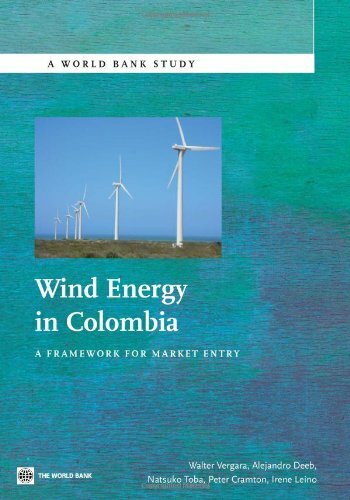 Responding to growing international interest in wind energy and decentralized energy production, this book focuses on the potential for exploiting wind power in urban areas. 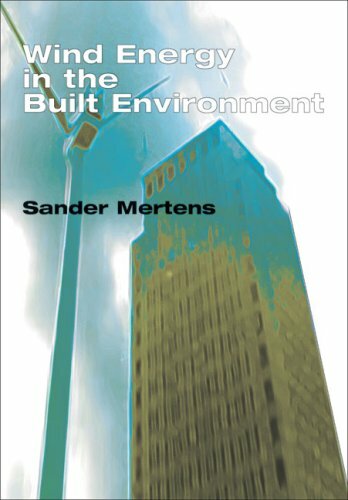 With radical implications for the generation of renewable energy in the city and hence our environment as a whole, this landmark book paves the way for significant developments in low-energy design and high-rise architecture. Having outlined the fundamentals, the authors examine wind enhancement and integration techniques and address aesthetic, aerodynamic, architectural, environmental, and structural constraints. Turbulence levels are discussed in detail, design guidance is given to aid performance prediction, and a methodology is provided to assess UWECS (urban wind energy conversion systems) from economic and environmental perspectives. International case studies are included, complemented by the results from a project field-testing a two-story prototype building with an integrated wind turbine. 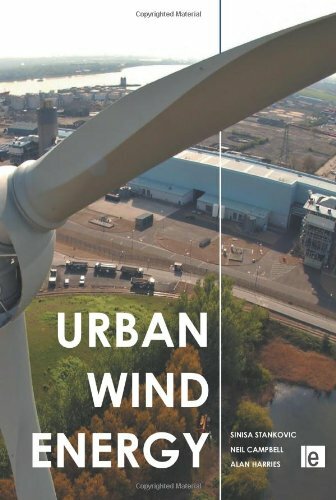 I highly recommend this book for those who are interested to understand the wind energy option for buildings and urban environment. Faced with frequent power outages, skyrocketing energy costs, and constant reminders of the impacts of conventional energy sources, homeowners and businesses are beginning to explore ways to use energy more efficiently and to generate their own electricity to reduce fuel bills and their carbon footprint and to achieve greater independence. This book is designed to help readers make the smartest, most economical choices. Readers will gain the knowledge they need to make wise decisions during the design, purchase, and installation of small wind energy systems and to communicate effectively with wind system installers. 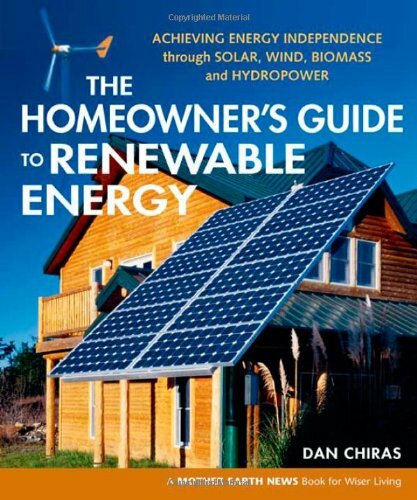 Dan Chiras is an internationally acclaimed author who has published over twenty-four books, including The Homeowner’s Guide to Renewable Energy. He is a certified wind site assessor and has installed several residential wind systems. Dan lives in a passive solar home in Evergreen, Colorado. Mick Sagrillo is the wind technology specialist for Wisconsin’s Focus on Energy. Ian Woofenden is a wind electricity editor, writer, workshop coordinator, instructor, and user in Washington’s San Juan Islands. What can the wind do for the world's power problems? "Power from the Wind: Achieving Energy Independence" discusses how people can use wind power to power their own homes on a small scale, reducing power consumption bills. Wind is cheap and renewable; to not harvest it for use is wasteful. Outlining how to get started harvesting wind power, author Dan Chiras answers many of the most commonly asked questions. "Power from the Wind" belongs in any collection for the environmentally thoughtful. 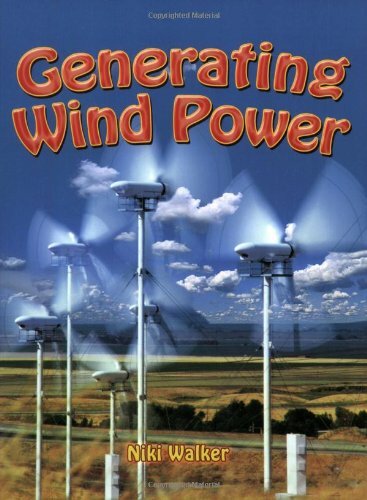 If you're considering using the wind to generate electricity for your home, this book is probably the best you'll find to help you choose the right machine. More importantly, it may help you decide wind energy is not a viable option. The author, Dan Chiras, has a gift. It's not in being inventive, or doing original work. Rather, it's his ability to distill and organize massive amounts of information and make it understandable. He covers the pros and cons of wind energy. His co-authors, Mick Sagrillo and Ian Woofenden, are truly small scale wind energy icons. They use wind energy to power their own homes, and have written extensively about the subject, primarily in Home Power magazine. Sagrillo's article, "Apples & Oranges, Choosing a Home Sized Wind Generator" (Home Power #90, Aug/Sept 2002) is arguably the best 16 pages ever written about small scale wind. However, because all three authors love wind energy, the pros generally outweigh the cons when it comes to choosing wind as an energy source. Understanding Wind and Wind Energy, covering friction and turbulence, and the concept of wind as cube: double the wind speed, and get eight times the energy. Wind Energy Systems. Grid-tie versus off-grid. Wind Site Assessment. Besides determining the wind potential of your site, a lot of emphasis, correctly, is on home energy conservation. A Primer on Wind Generators includes the importance of "swept area" as being the most reliable indicator of generator output. Towers and Tower Installation. There are three kinds of towers. A towers cost may exceed that of the generator. Understanding Batteries. This has nothing to do with wind generators, but for those considering living off-grid, this chapter is important. Inverters. If you're going to be tied to the grid you've got to have one. Covers the various types. Maintaining a Wind-Electric System. Not for the faint of heart. You may decide wind is not for you after reading this chapter. Final Considerations: Zoning, Permits, Covenants, Utility Companies, Insurance and Buying a System. I've lived off-grid with a hybrid wind/solar system for nine years. I'm on my second wind generator. I wish this book had been available when I was building my system.  The only comparable book available on small scale wind is Paul Gipe's, "Wind Power." It is also excellent, but is more technical, and for me, was less accessible. For anyone interested in small scale wind energy, "Power From the Wind" is probably the best single source of information you'll find. This authoritative resource offers comprehensive details on effectively using wind energy as a viable and economical energy source. Featuring a multidisciplinary approach, Wind Energy Engineering covers physics, meteorology, aerodynamics. wind measurement, wind turbine specifications, electricity, and integration with the grid. Planning, site selection, cost assessment, environmental impact, and project management are also discussed. Filled with diagrams, tables, charts, graphs, and statistics, this is a definitive reference to current and future developments in wind energy. Outstanding!If you are in the wind industry, want to be, or are considering a wind project of your own, read this book!While it's not easy to cover the many facets of wind energy development, Mr. Jain has accomplished this with seeming ease.Each piece of the development puzzle is covered with just the right level of detail.The science behind wind energy is fully and very understandably explained; then matched with tools you can use, bridging the gap between theory and practice.Mr. Jain's work is essential for the classroom, job-site, homeowner, small business or community considering a wind project.Once you read it, keep it close by because you will find it an easy and necessary reference tool. A must have for project mangers (PM) in the wind industry.Book covers the routine to the complex in a clear, organized and well illustrated manner.Reader/PM will take away a better understanding of what is involved in harnessing wind power and more importantly what is required for a successful wind project. Chapters 9 through 14 are especially helpful; they cover everything from wind turbine components to the planning and execution of a wind project.This book would be an excellent addition to a seasoned PM's resource library, but equally important as a "field manual" for a PM venturing into wind projects for the first time.It covers what every a PM has to be familiar with and deal with on a wind project.As a PM who ventured into the wind industry, I see the value of this book and I highly recommend it.Well Done! In addition, Gipe provides a discussion of "net metering" and intertie possibilities, explaining how homeowners in many states can now sell their excess electricity back to the utility company. Wind Energy Basics is an excellent introduction to wind power for educational programs concerned with state-of-the-art renewable energy options, and will be indispensable for those considering today's generation of quiet, efficient, and reliable "micro" wind turbines. Wind Energy Basics describes a new class of small wind turbines, dubbed micro turbines, which are so small that they can be purchased for less than $1000 and carried in your hands. The debut of micro wind turbines brings the technology within reach of almost everyone. These inexpensive machines, when coupled with readily available photovoltaic panels (solar cells), have revolutionized living in remote homes off-the-utility grid. And the increasing popularity of micro wind turbines has opened up new applications previously considered off-limits to wind energy, such as charging electric fences and powering remote telephone call boxes, once the sole domain of solar cells. Micro wind turbines have been around for decades for use on sailboats, but they have gained increasing prominence in the 1990s as their broader potential for off-the-grid applications on land has become more widely known. While micro wind turbines have yet to reach the status of widely available consumer commodities such as personal computers, the day may not be far off. The use of wind power is "exploding," say Karen and Richard Perez in their foreword. "There are currently over 150,000 small-scale RE (renewable energy) systems in America and they are growing by 30% yearly. The small-scale use of wind power is growing at twice that amount--over 60% per year," according to the Perezes, the editors of Home Power magazine. Southwest Windpower awakened latent consumer interest in micro wind turbines with the introduction of its sleek Air 303. Since launching the 300-watt turbine in 1995, Southwest Windpower has shipped 18,000 of the popular and inexpensive machines. "What Americans, and folks all over the world, are finding out," the Perezes say, "is that wind power is an excellent and cost-effective alternative" to extending electric utility lines, and fossil-fueled backup generators. 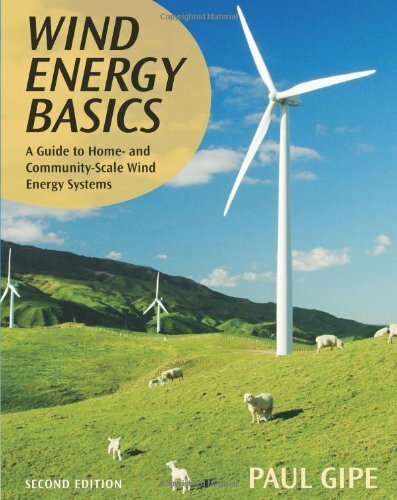 Wind Energy Basics explains how it is possible—in some states—for homeowners to run their kilowatt-hour meter backwards with a small wind turbine. This book confronts the common but controversial practice of "power rating" that may mislead consumers about the potential of some small wind turbines. Known for his frank style, Gipe quickly cuts through technological jargon and the hype surrounding power ratings. "Nothing tells you more about a wind turbine's potential than rotor diameter—nothing. The wind turbine with the bigger rotor will almost invariably generate more electricity than a turbine with a smaller rotor, regardless of their generator ratings," he says. Gipe also comes down hard on roof-top mounting. "Don't bother," he warns. "It's not worth the trouble." He also minces few words on mounting wind turbines in trees. "Sometimes wind energy isn't the right choice," Gipe says. "If you live in a forest of tall trees and you can't afford a tower tall enough to clear the trees, then wind energy isn't for you." Worldwide, wind energy is booming. Not since the heyday of the American farm windmill has wind energy grown at such a dramatic pace. By the new millennium, more than 40,000 medium-size wind turbines will be in operation worldwide, mostly in California, Europe, and India. These commercial wind turbines, including those found in California's giant wind power plants, will produce 20 terawatt-hours (20,000 million kilowatt-hours) of wind-generated electricity annually—enough to meet the needs of more than three million energy-hungry Californians, or twice that number of more energy-conscious Europeans. The commercial success of medium-size wind turbines, or wind farm machines, is only part of the story. Small wind turbines have found their role expanding as well. Whether it's on the contemporary homestead of Ed Wulf in California's Tehachapi Mountains, in the Chilean village of Puaucho overlooking the Pacific Ocean, or on the Scoraig peninsula of Scotland's wind-swept west coast, small wind turbines are making an important difference. While their contributions may be small in absolute terms, small wind turbines make a big difference in the daily lives of people in remote areas around the globe. Small wind turbines may produce only a few tens of kilowatt-hours per month, but this electricity goes much further and provides as much, if not more, value to those who depend upon it as does the generation of their bigger brethren. Today there are more than 50 manufacturers of small wind turbines worldwide, and they produce more than 100 different models. Altogether manufacturers in western countries have built about 60,000 small wind turbines during the last two decades. And tens of thousands more have been manufactured in China for use by nomads on the Mongolian steppes. Wind Energy Basics is richly illustrated with photographs of small wind turbines, from those on the Patagonian steppes at the tip of South America to those on the wind-swept shores of Denmark. The book contains information on most major small wind turbines on the international market. It also provides photographs of common wind turbine applications, including their use for wind power plants, vacation homes, third world villages, farms, water pumping, and so on. Engineers will like the "exploded views" of popular micro and mini wind turbines such as the Ampair 100, Southwest Windpower's Air 303, and Bergey Windpower's BWC 850 and BWC 1500. The book also introduces the "griphoist" to American readers. This amazing tool, coupled with new lightweight wind turbine towers that have recently become available, has the potential to transform the installation of micro turbines. With the "griphoist", two people can safely raise a micro wind turbine on a specially designed tower without resorting to cumbersome electric winches. I needed to do a power point on wind energy and it is a subject I'm interested in for my retirement property.Paul Gipe really put all of the technology in easy to understand terms and spelled out the formulas.It was a productive and concise read. I ordered this book because I am interested in potentially installing a wind energy system in my home.I did not find this book helpful to that end.It is too technical.It gave details I don't think I need and did not give me information on how to determine if my home is a good candidate for wind energy.Not what I was looking for.No practical information for a home owner. Nice photos, but no real useful information. Ordered by mistake, and returned. Not worth the money, in my opinion. THIS IS A LITTLE TECHNICAL TO UNDERSTAND, ANDSOME OF THE GRAPHS AND CHARTS DONT HAVE ENOUGH EXPLANATION TO THE AVERAGE PERSON . I EXPECTED A EASY TO FOLLOW BASIC BOOK ON HOW TO , POSSIBLY MAKE YOUR OWN, IN A PICTURE OR ILLUSTRATIVE WAY . THE BOOK TOUCHED ON IT, BUT WAS TOOCOMPLEXFOR A BASIC BOOK .. I SAW NO IDEA OF HOW BIG THEELECTRICAL USE OF THE AVERAGE HOUSE WAS, SO I DONT KNOW HOW LARGE A WINDMILL MUST BE MADE OR PURCHASED.. PROBABLY A GREAT BOOK FOR ELECTRICIANS ,BUT NOT BASIC ENOUGH FOR ME .I WAS WANTING TO MAKE MY OWN ( FROM SCRATCH )AND HAVE THE BOOK TELL ME WHAT I NEEDED ..
if you are considering a home system dont bother with this book. author tells you a ton of useless information like make your home efficient first, check local laws, use a professionalbla bla bla.Bottom line your home uses 25 to 30 KW hrs a day. That much i learned .A huge home wind system produces 4 to 10 and 10 is really good.Author admits solar is better for the home.gee thanks.. i sure wish that info was in the sample i would not have bought book, but i guess you deserve what you get when you buy abook designed for dummies. onward and upward.... cheers! Wind Power for Dummies by Ian Woofenden is the mass-market, mainstream book on small wind turbines that the industry has long sought as a measure of respectability. Small wind has arrived when the wildly popular Dummies' series takes up the topic. Dummies books, and this one will be no exception, are the kind that one finds shelves of when entering Barnes & Nobles, America's big box book store. Small wind has indeed arrived. Woofenden, a long-time editor at Home Power Magazine, fortunately doesn't fall for the temptation posed by his entry into big-league publishing and sugar coat the technology. This is a real book by a real author who lives, breathes, and writes about the subject. He doesn't pull any punches. As an outspoken proponent of safety around wind turbines-of any size-I found Woofenden's Dummy book particularly valuable because of its emphasis on safety. This is a topic that other writers often shy away from. Woofenden tackles the delicate subject head on and with good humor to boot. Woofenden, a professional arborist, offers sage advice when he recommends that all towers have a full-time, fall-arrest system in place. He says he simply won't climb a tower without one present. That's about as clear a statement as a writer can make. But his statement is more significant than that. Woofenden is stepping out from the norm of his small wind brethren by calling for fall-arrest systems in an industry that has widely ignored these devices in the USA for nearly 30 years. Disclosure: Woofenden applauds my work in the acknowledgements section of the book--for which I am grateful. A pat on the back is always welcome. As in other Dummies books and certainly as found in the pages of Home Power Magazine, Woofenden uses homespun aphorism to drive home his point. One such example is his advice about "thinking before you act". "Wearing a hard had doesn't mean a lot if you don't have much to protect in the first place. Your number one piece of safety gear is on your shoulders. You need brains, determination, knowledge, and experience to be safe." More sound advice in his recommendation to use "baby talk" when working on a tower. "Before I do something, I say what I'm going to do: 'I'm going to move my lanyard up above these rungs next; I'll need you to lift your right foot'," he explains in another passage. "Ten Wind-Energy Mistakes," like safety, is another valuable Woofenden contribution to the literature on small wind. Harking back to his mentor Mick Sagrillo, one of Woofenden's top ten mistakes is "Using too Short a Tower". Woofenden will not endear himself to "inventors," crackpots, and hustlers when he warns readers against using "creative" wind turbine designs. These are the wacky ideas that appear regularly on the Internet and no doubt drive serious editors, such as Woofenden, batty answering each new wave of queries from the true believers. Wind Power was constrained by the format of the successful Dummies' series. The books, which became famous for deciphering the usage of computer software, use few graphics. Wind energy is a very visible technology and there are a myriad designs and as many different applications that call out for photos or illustrations. The illustrations used are simple, clear, and straightforward-the hallmark of Home Power Magazine. The graphic illustrating the "basic parts of a turbine" is particularly good. And it's hard to beat the humorous comics that were part of the Dummies' books recipe for success. If anything, the book could have used more of them. A minor quibble is Wind Power For Dummies' reliance on the English system of measurements-a system that the English themselves don't use. It's understandable in the context. The Dummies books are targeted toward the mass market in the US and that leaves out the Canadians and anyone else who uses the metric system. With the Dummies' marketing prowess at his back, Woofenden stands a good chance of taking his message of caution and thoroughness in developing a safe, productive, and profitable small wind turbine installation to a bigger market than other small wind books have done before. 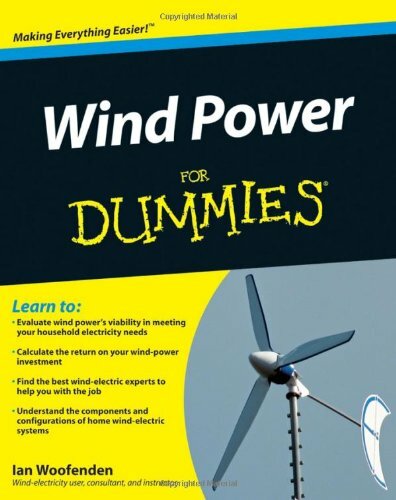 For only $22, the book is not only a steal but a welcome addition to the wind power library. Wind Power for Dummies by Ian Woofenden, John Wiley & Sons, 2009, paper, 384 pages, US $21.99, ISBN: 978-0-470-49637-4. If you're looking for a resource that covers most everything about residential size wind generators, this book is as good as anything you'll find. It has chapters on how to figure how much wind you have at your site, wind generator types, towers and how to erect them, legal issues, costs and how long it will take for your generator to pay for itself. The use of wind for off-grid and grid tied applications are compared. Maintenance and safety are covered in great detail. In fact, after you read the safety chapter you may decide that wind is not for you. If that's the case, you're in luck, there's a whole chapter on alternatives to wind: photovoltaics, hydro and solar thermal. A chapter on home energy conservation is also included. The amount of information can be overwhelming, but the author does a good job of tying it all together. The author, Ian Woofendan, has been writing articles on wind and renewable energy for Home Power magazine for many years, and has wind and solar power at his own home. He has a lot of practical, hands-on knowledge that is evident in WPFD. 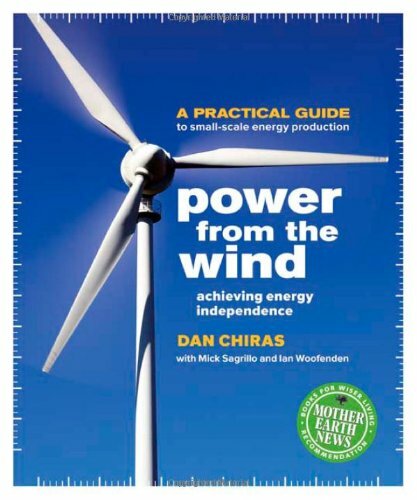 1) Power From the Wind (incidentally co-authored by the author of Wind Power For Dummies), Dan Chiras. This book is excellent, and in many ways equal in scope to WPFD. It runs about 250 pages. 2) Wind Power (Paul Gipe). Very good, but really technical, and includes a lot of information about very large commercial sized generators. 500 pages long! If I had to get a single book on small scale wind power, Wind Power For Dummies would be my first choice, followed by #1 and then #2. 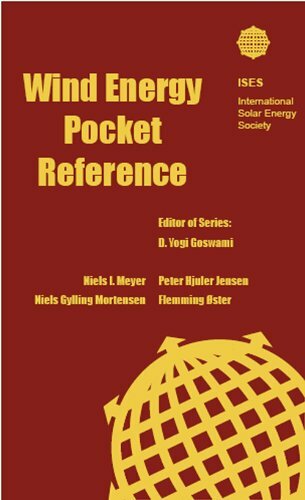 The pocket-sized WIND ENERGY POCKET REFERENCE contains specific scientific insights packing data, equations, and wind technology facts into a small pocket guide gathered from published literature and supplemented by personal information from experts in energy agencies, utilities, universities and research. The result is a reference for any interested in wind power systems, providing clear and at-a-glance details accompanied by charts and graphics - even in color! Also called energy scavenging, energy harvesting captures, stores, and uses "clean" energy sources by employing interfaces, storage devices, and other units. Unlike conventional electric power generation systems, renewable energy harvesting does not use fossil fuels and the generation units can be decentralized, thereby significantly reducing transmission and distribution losses. But advanced technical methods must be developed to increase the efficiency of devices in harvesting energy from environmentally friendly, "green" resources and converting them into electrical energy. Recognizing this need, Energy Harvesting: Solar, Wind, and Ocean Energy Conversion Systems describes various energy harvesting technologies, different topologies, and many types of power electronic interfaces for stand-alone utilization or grid connection of energy harvesting applications. Along with providing all the necessary concepts and theoretical background, the authors develop simulation models throughout the text to build a practical understanding of system analysis and modeling. With a focus on solar energy, the first chapter discusses the I−V characteristics of photovoltaic (PV) systems, PV models and equivalent circuits, sun tracking systems, maximum power point tracking systems, shading effects, and power electronic interfaces for grid-connected and stand-alone PV systems. It also presents sizing criteria for applications and modern solar energy applications, including residential, vehicular, naval, and space applications. 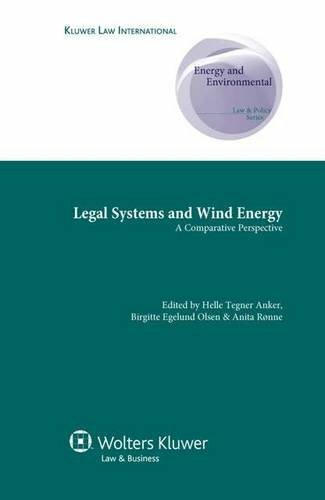 The next chapter reviews different types of wind turbines and electrical machines as well as various power electronic interfaces. 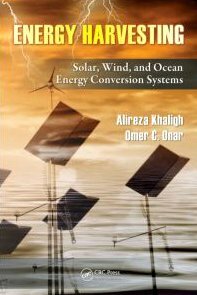 After explaining the energy generation technologies, optimal operation principles, and possible utilization techniques of ocean tidal energy harvesting, the book explores near- and offshore approaches for harvesting the kinetic and potential energy of ocean waves. It also describes the required absorber, turbine, and generator types, along with the power electronic interfaces for grid connection and commercialized ocean wave energy conversion applications. The final chapter deals with closed, open, and hybrid-cycle ocean thermal energy conversion systems. With increasing concern over climate change and the security of energy supplies, wind power is emerging as an important source of electrical energy throughout the world. Modern wind turbines use advanced power electronics to provide efficient generator control and to ensure compatible operation with the power system. 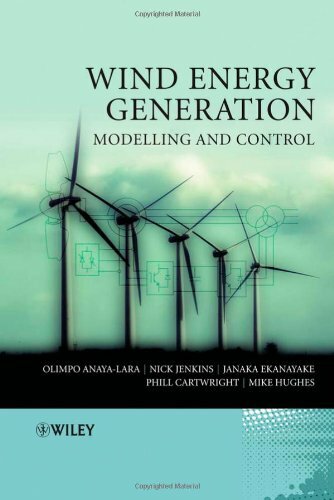 Wind Energy Generation describes the fundamental principles and modelling of the electrical generator and power electronic systems used in large wind turbines. It also discusses how they interact with the power system and the influence of wind turbines on power system operation and stability. Includes a comprehensive account of power electronic equipment used in wind turbines and for their grid connection. Describes enabling technologies which facilitate the connection of large-scale onshore and offshore wind farms. Provides detailed modelling and control of wind turbine systems. Shows a number of simulations and case studies which explain the dynamic interaction between wind power and conventional generation. When Jim Gordon set out to build a wind farm off the coast of Cape Cod, he knew some people might object. But there was a lot of merit in creating a privately-funded, clean energy source for energy-starved New England, and he felt sure most people would recognize it eventually. Instead, all Hell broke loose. Gordon had unwittingly challenged the privilege, power, and assumptions of some of America's richest and most politically connected people, and they would fight him tooth and nail, no matter what it cost, and even when it made no sense. As an environmentalist, I was very interested in reading this book when I heard about it.What a disappointment! This book is so one sided that it becomes difficult to read.The authors are so enamored with Gordon that it is just painful.For example, in chapter three the author tells us three times that when he had his first company he was 32 - three times! Who cares?This is not the David and Goliath story that the authors want you to believe.This story is about a really rich guy fighting with some even richer guys so that he can become even richer too - by using public land for his private gain.Very disappointing. 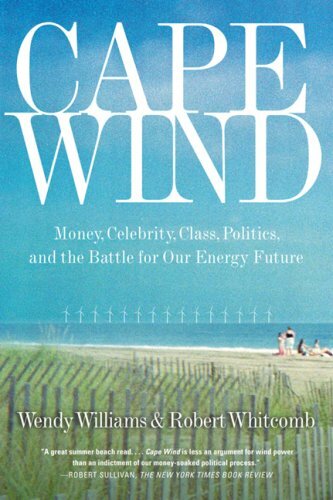 Cape Wind, by Wendy Williams and Robert Whitcomb, is a fascinating review of the early days of the Jim Gordon's project to build windmills in Nantucket Sound. The book was published in 2007 and is thus already a little out-of-date. The final chapter is not very hopeful about the prospect of wind energy ever coming to Nantucket Sound, but since then many legislators and several governors have endorsed the Cape Wind Project. Reading the book, though, is well worth the time. Williams and Whitcomb perform a huge public service by exposing the machinations of landowners who didn't want to see windmills in their waterfront views. The authors begin with a public meeting called by the U.S. Army Corps of Engineers. A wealthy actor sputters somewhat uncontrollably about the "hallowed ground" which he feels he would lose if windmills were built in the Sound. Then you learn about the "Alliance to Protect Nantucket Sound." This "Alliance" is a none-too-savory collection of fossil-fuel investors, wealthy waterfront land-owners, and pandering politicians. Subsequent chapters flesh out various members of the Alliance. The Kennedy history is interesting, especially since Ted Kennedy has usually seemed to work for the good in much of his political career. Bunny Mellon's story is also fascinating. Her association with Jack and Jackie Kennedy and her vast inherited wealth gave her the power to amplify her opposition to towers within her view and to fund various lobbyists. Many other colorful characters from Cape Cod also make their appearance in the book as they try to set up various roadblocks to the wind project. Several politicians also get involved. Senator John Warner from Virginia plays an especially unsavory role as he interfered with the work of the Corps of Engineers. Apparently Warner used his position on an important Senate committee to attempt to bully the Corps into delaying the project enough to permanently stall the entire wind-farm. Mitt Romney did a characteristic flip-flop; first supporting wind energy and then actually working against Cape Wind. The stories of how wealthy donors and political cronies influenced these politicians is disheartening yet informative. There are several heroes in the book also. Jim Gordon rose from relatively humble beginnings to be a force in energy efficiency and development. Matthew Patrick, a Massachusetts state representative, was a voice of reason for his constituents even though many of the wealthy thought him to be a traitor. Many volunteers and activists fought valiantly for cleaner energy, even when the battle seemed to be going to the opposition. In summary, this is a well-written, interesting account of the difficulties faced by Jim Gordon and Cape Wind. If things go well, we will soon read this as a history of a few short-sighted individuals who tried to oppose a good environmental project. If things go poorly, we will read this as a history of the beginnings of a long-standing obstruction of saner energy policy. As a life-long Democrat and frequent neighbor of the Kennedys in Hyannis I am sickened by the absolute abuse of power laid bare in this book by Kennedy, Mitt Romney, the Mellons, Delahunt and others.The book is a very entertaining and well-written page-turner, but it leaves me so angry that some misguided, ignorant, arrogant, asinine, yet powerful, rich folk can be allowed to hijack energy policy.This book should be required reading for anyone who cares about pollution, energy independence, democracy, and ultimately peace.The Osterville yachting crowd care more about maintaining their offshore playgrounds (which belong to the national public- not them!) than they do about the future of this country. With all their "Save Our Sound" signs- they really are asking the duped public to Save THEIR Sound to which they feel their millions entitle them to.And their "Not For Sale" signs- what a joke- they think their mansions have bought them the rights to some shoals 6 miles offshore. Darn right it's not for sale- to you! I am so pleased to notice that there are hardly any of their signs up anymore. People have finally wised up and realized this is no "grassroots" Alliance!This book has made me vow that if Obama does not support this project, then I will not vote for him.This will determine whether he truly represents Change or if he's just the same old story.This book may turn me into a one-issue voter. Outside a Cape Wind public hearing at MIT in Cambridge, a group of activists put on an amusing parody of the moneyed interests fighting the wind power project, which is seeking approval for a site in Nantucket Sound off Cape Cod. Dressed in yacht club apparel, the protesters, sporting an affected speech, introduce themselves using names such as "Preston Peabody IV." They explain, in mock seriousness, all of their reasons for opposing the wind farm. The authors of Cape Wind go on to give a very lengthy transcript of this performance. In fact, I was pretty amazed at how long the segment was in the book, it just kept going.Then, I realized that this little skit was more than just a funny parody; it was exactly how the authors really viewed the rich opponents of this project.And that is ultimately the slight undoing of this timely and gripping tale. The book is a really fun read.I believe a blurb on the back cover says it is a "beach read." And so it is, containing all the elements one would find in a best-selling political thriller, but written in a breezy tone. Unfortunately, that tone crosses into snarkiness too often.And it becomes very clear within a few chapters that the Cape Wind opponents will play the corrupt beaurecrats, the stooge selectmen, or the elitists frothing at the mouth. How both business and the elite use government is the real thesis though. Local town meetings become showcases of celebrities, money is channeled through other non-profits and Army Corps of Engineer hearings are swamped with paid operatives who have connections to political campaigns. Meanwhile, in the Senate, secret committee meetings try to amend legislation for very specific and targeted means. The book is at its best when narrating the maneuvers of both sides around certain deadlines, hearings and laws. For instance, Cape Wind's Jim Gordon finds himself racing to get approval to build a data tower, (a device which will gather specific information about the winds in the Nantucket waterway. )The opponents keep trying to throw up judicial and procedural roadblocks as Gordon himself tries to rally his own lobbying efforts.All the while, there is a sprint against the coming winter, and Gordon knows he must get construction started before the ocean gets too rough. In the climax, Cape Wind faces a mysterious alliance of forces in Washington.Alaska politicians are trying to get an amendment into a Coast Guard Bill; the amendment seems to be specifically designed to end the Cape Wind proposal once and for all. It is in instances like this that the book is running on all cylinders and the intended thesis of the creators comes through loud and clear: Power is money and money is power. But rather than achieving a legislative version of A Civil ActionA Civil Action, the authors let their passion about what they have seen get the best of them a little too often. Making fun of politicians and the rich is easy, (although it is fun sport,) and they make the most of it.But in the end it is at the expense of their story. But then again, what is the ending?The book kind of stops rather than ends, because there is still much more to happen in the alternative energy saga in this country. One thing the authors do effectively is narrate periods when New England power grids were almost in meltdowns. On hot and cold days they desperately needed more power.Data shows that the wind turbines would have been able to supply at least some more. Maybe a sequel -Cape Wind II - is in our future? Cape Wind delves deep into the politics surrounding Jim Gordon and his proposal to build 130 offshore wind turbines in Nantucket Sound. From the town meetings in Barnstable to the halls of the Capiton in Washington DC, Whitcomb and Williams chronicle the effort to build the wind farm project and the surprising opposition it faced, often from politicians who were strongly on record of being in favor of alternative energy. Cape Wind is not an unbiased book. The authors clearly are in favor of the wind farm, and they make no effort to hide their perspective. It is, however, an exceptionally well-researched book, and an insightful look into the politics of some of the wealthiest communities in Massachusetts. The Cape Cod communities centered around Oyster Harbors (home of the DuPont and Mellon families) and Hyannisport (of the Kennedys) are profiled with extensive background information that shows the origins of their opposition to the wind energy project in the waters that were considered their back yard. Jeff Gordon, the energy entrepreneur behind Cape Wind is profiled, and the authors follow his victories and frustrations in the still-unresolved battle over the wind farm. With energy policy becoming a more serious priority every day, this book is essential reading for anyone interested in the challenges and hurdles facing the clean energy movement. It's also a great book on local politics, dirty and otherwise. Wind energy is the fastest growing source of energy in the world, and by the year 2020 it is projected to supply at least 12 percent of global electrical demand. Wind Power Basics provides a clear understanding of wind and wind energy systems, including turbines, towers, inverters and batteries, site assessment, installation, and maintenance requirements. Whether you’re considering your own small-scale wind energy system or just want a straightforward, detailed introduction to the benefits and challenges of this rapidly emerging technology, Wind Power Basics is the guide you need. Dan Chiras is a respected educator and an internationally acclaimed author who has published more than twenty-five books on residential renewable energy and green building, including Power From the Wind. 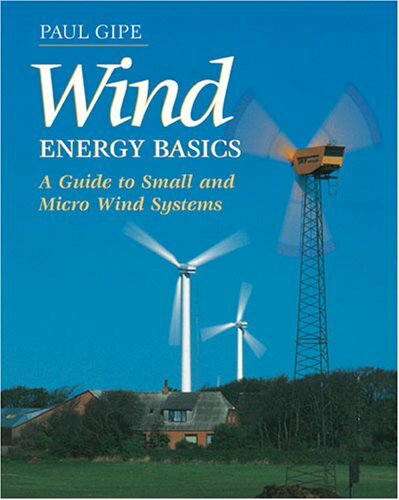 This is a great little book for people looking for an introduction to wind power. It covers the history of the technology and explains why small wind turbines can be a great way of generating relatively small amounts of power. If you are interested in wind power and considering installing a system, this is an ideal first step. Its clear, concise and well written. WIND POWER BASICS offers homeowners a clean view of wind technology, covering wind energy systems ranging from turbines to batteries, and including site assessment and maintenance of wind power options. Any considering a small-scale wind energy system will find this a satisfying basic introduction. 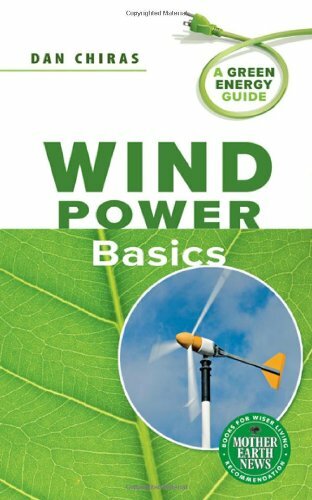 "Wind Power Basics: A Green Energy Guide" is a step-by-step handbook designed for anyone wanting to understand all aspects of the energy source. Author Dan Chiras first notes the history of wind power in the United States, how it was set aside as electrical grids were established and how and why people are returning to its use. He makes the technology and terminology easy to understand, while warning of its possible pitfalls (unhappy neighbors), as well as making clear the case for using green power. Some of the topics include site assessment, tower installation and various systems that work in different situations. Gipe has put together a wonderful wind energy reference. 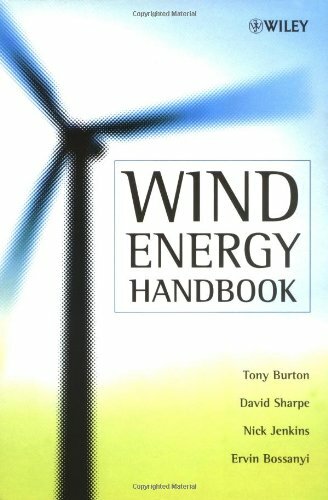 I'm currently doing an independent study on wind energy and this book has greatly helped my research to date.Highly recommended! !If you're in to renewable energy in general, I also recommend "Renewable Energy: Power for a Sustainable Future" edited by Godfrey Boyle I believe.I've never found a better resource for renewable energy! Designing buildings that maximize wind harvest and drive a set of turbines that provide power for buildings is the architectural concept presented in this scientific analysis. The practicalities presented in this design concept will interest engineers and architects, while the possibilities of wind power being used at a domestic level will delight proponents of renewable energy.